I feel like this is the next logical step in my life. I graduated high school and college. I got a full-time job. Now I need a self portrait. I’m not talking about going Clay Matthews and having hundred’s of photo’s of myself in my basement. I want it be tasteful, classy. 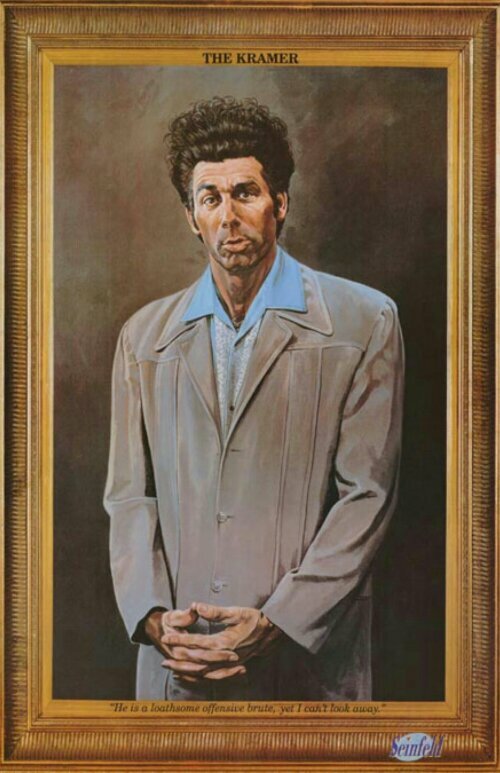 Something like “The Kramer”. The caricature of myself as a baseball player on my bedroom ceiling needs to be replaced. The only thing missing is an actual artist. Let it be known now that I only pay in beer. Rules are rules. Posted on August 1, 2013, in Average Blog Posts and tagged beer, college, high school, job, photo, portrait, Seinfeld. Bookmark the permalink. Leave a comment.